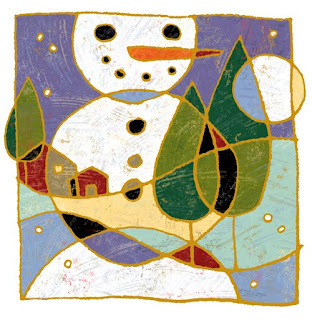 Whenever I see that someone has rolled snow around into giant snowballs and made a snowman it always makes me smile. 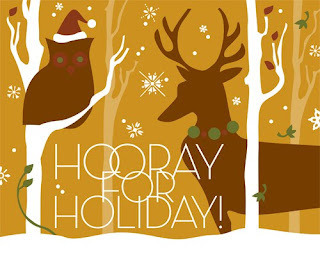 I hope my illustration puts some cheer in your holiday! Let the festivities continue! Warm gold creates an elegant yet woodsy feel in this illustration I created for TriFecTa, a floral, events and gift shop’s holiday event. Isn’t it nice to imbibe and nibble while shopping? It’s December 1st, so for me the gift-giving season has begun. 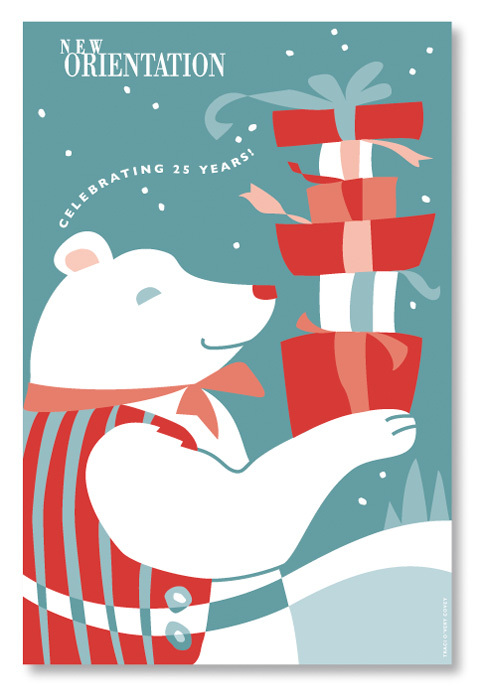 Here is the front of a large postcard with my illustration inviting people to a holiday event at a wonderful locally owned retail store New Orientation. They are celebrating 25 years and I am grateful to have been working with them for that long! Wow!